Audrey Geisel, a devoted philanthropist, business leader and wife of the late Theodor “Dr. Seuss” Geisel, died on Dec. 19, 2018. She was 97. Geisel served as president of Dr. Seuss Enterprises and the Dr. Seuss Foundation following the death of her husband. She had a longstanding relationship with UC San Diego, donating Theodor Geisel’s personal papers to the university library, including more than 12,000 items — original drawings, manuscripts, sketches, books and other memorabilia — documenting the many creative contributions of Dr. Seuss. In 1995, the university’s central library was renamed the Geisel Library building to honor Theodor and Audrey Geisel, in recognition of a $20 million gift from Audrey. Geisel made a lasting impact on nearly every area of the campus — from the UC San Diego Library, Scripps Institution of Oceanography and Health Sciences, to scholarship and fellowship support, The Preuss School UC San Diego, and renovations of the Faculty Club. To honor her support, Geisel was awarded the prestigious Chancellor’s Medal as part of the university’s 50th Anniversary celebration; she was also recognized as the honoree of the Heart of San Diego Gala for her support of the UC San Diego Sulpizio Cardiovascular Center. In 2013, Geisel donated $2 million for the renovation of University House, the private residence for the UC San Diego Chancellor. The historic structure and venue now used for campus celebrations and fundraising events was formally renamed the “Audrey Geisel University House” in her honor. 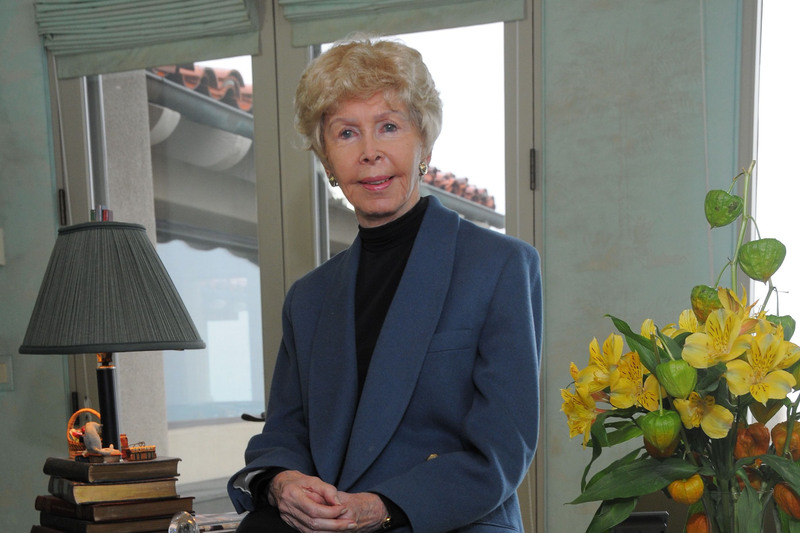 With a passion for literacy, books and the UC San Diego Library, Mrs. Geisel donated $1 million in 2007 to establish the Audrey Geisel University Librarianship, which is currently held by university librarian Erik Mitchell. The endowed position provides valuable discretionary funding — in perpetuity — to continually enhance and expand the staff, resources and services of the Library to meet the ever-changing information needs of the campus and the local region. Most recently, Geisel donated $3 million to revitalize the interior of Geisel Library helping to ensure that it remains as bold on the inside as it is iconic on the outside. As part of the renovation, the Library opened a café named Audrey’s in honor of Mrs. Geisel. Geisel served on the University Librarian’s Advisory Board, Board of Visitors of the School of Medicine and UC San Diego Moores Cancer Center Board; she was also a member of the university’s Chancellor’s Associates. Geisel was also an honorary co-chair for The Campaign for UCSD, which successfully reached its historic $1 billion fundraising goal in 2007. Geisel was a generous community leader who supported a wide range of causes, including education, literacy, healthcare and the arts. A La Jolla resident, Geisel’s community involvement spanned numerous charities and organizations, including the Center for Family Literacy, La Jolla Playhouse, Old Globe Theatre and San Diego Zoological Society. Born Audrey Stone, she wed Theodor Geisel in 1968. The couple remained married until his death in 1991. Audrey Geisel is survived by her daughters, Lark Grey Dimond-Cates and Lea Grey Diamond.